Jared Manninen is an artist, writer and graphic novelist who embraces the Tahoe lifestyle. 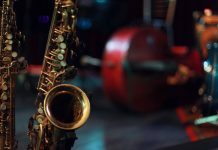 He immerses himself in the mountains of Tahoe, Nordic skiing in the winter and backpacking in the summer. It’s all part of what inspires his creativity. This former Marine found his way to creative writing and art. 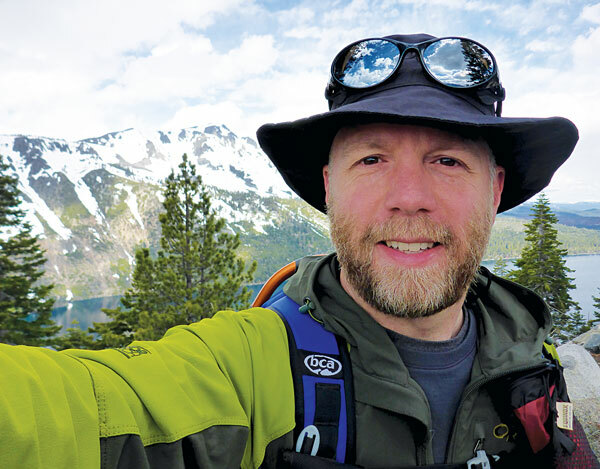 Manninen writes about the lessons he’s learned in the outdoors of Tahoe. 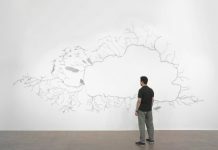 It is his love of backpacking that helps him keep his artistic conversation going. Manninen, along with Kim Wyatt of Bona Fide Books in South Lake Tahoe, wrote and published four comic books that focus on the history of Tahoe. 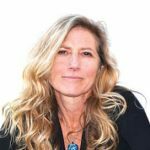 The titles and stories include “State Route 28,” “Trailblazing Tahoe Women,” “Wild Men of Lake Tahoe” and “The Angora Fire.” They are currently working on a fifth book about the Truckee River. Manninen also wrote “Gruesome Tales to Tickle Your Terror Bone,” a collection of six short horror stories written in the tradition of the 1950s horror comics with signature twist endings. 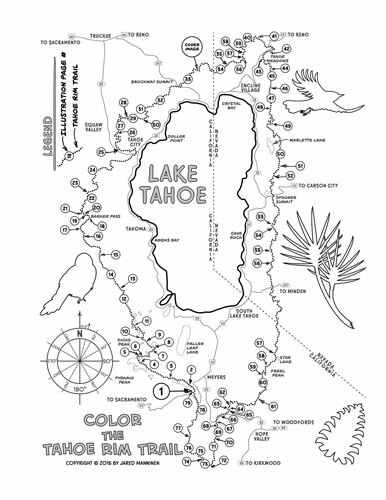 His latest project is the Tahoe Rim Trail coloring book entitled, “Color the Tahoe Rim Trail.” Manninen hiked the trail in 2014, starting from his South Lake front door and making his way around the rim. 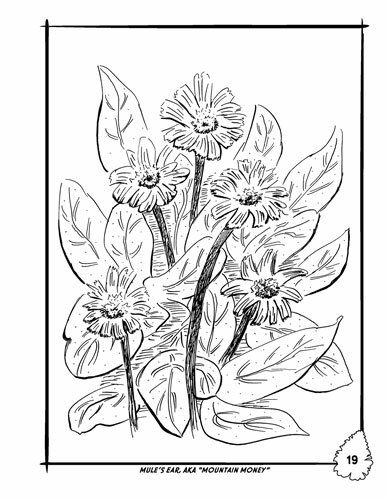 Manninen experimented with black-and-white pen illustrations for a few years. He illustrates by hand then scans them into the computer. The project took two years to complete. 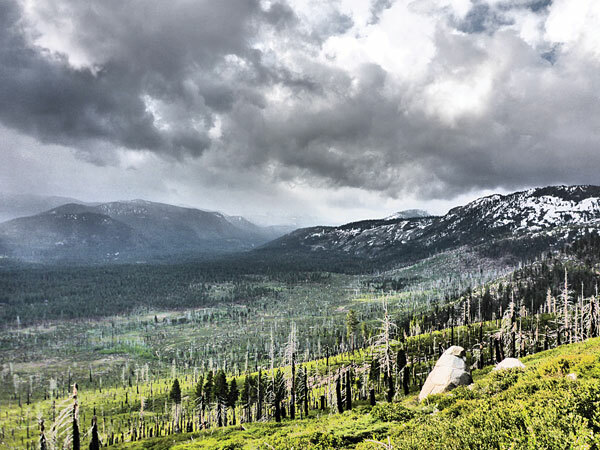 The “Tahoe Trail Guide” offers in-depth online resources for hiking, backpacking, cross-country skiing and snowshoeing at Lake Tahoe. The wilderness activity books and coloring books are geared for ages 10 to 13. He was trained in traditional mediums, such as charcoal, watercolors and oil paints, but he uses photography as a supporting element. His photographs speak to his passion of the environment he calls home. 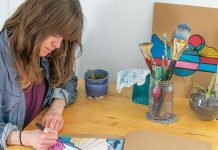 They document his experiences and capture images, design elements and references that help to create projects like his activity books. He also uses the photos for his blog posts. His art and writing reflect his love of the outdoors; Nature is his muse. For more information, visit jaredmanninen.com. 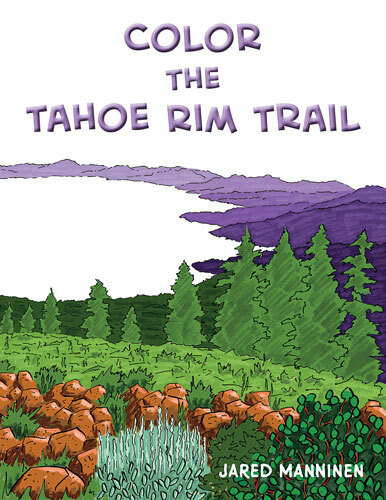 “Color the Tahoe Rim Trail” is available at tahoetrailguide.com.